This Easter, Morrisons is bringing back the ultimate ‘Dragon Egg’ for chocolate fans throughout the Seven Kingdoms. Back by popular demand – the 20-centimetre-high, 240-gram Dragon Egg is making a King’s Landing back on shelves. The monstrous egg is made from rich Belgian milk chocolate and finished with a dusting of ruby red and gold lustre. 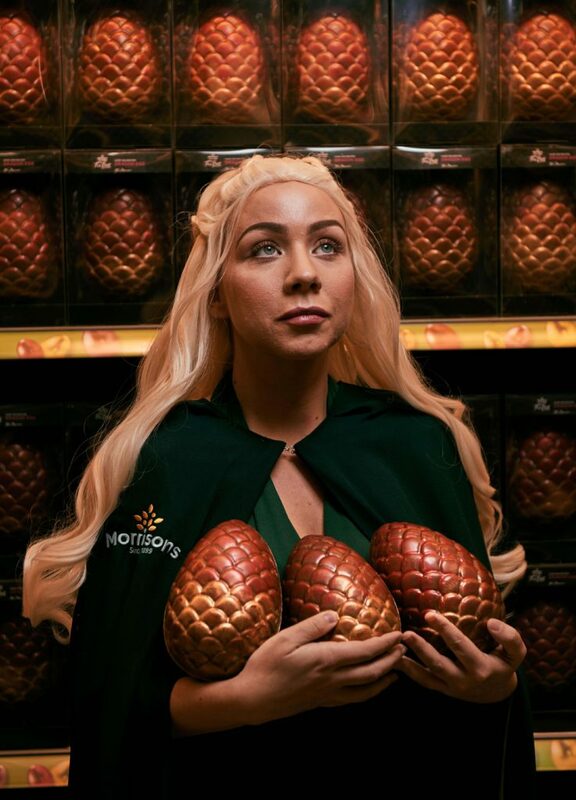 The Dragon Eggs are exclusive to Morrisons and can be found in all 494 stores nationwide and will cost £6. This Easter, Morrisons is bringing back the ultimate ‘Dragon Egg’ for chocolate fans throughout all kingdoms. Back by popular demand – the 20-centimetre-high, 240-gram Dragon Egg is making a landing back on shelves. The monstrous egg is made from rich Belgian milk chocolate and finished with a dusting of ruby red and gold lustre. It is part of the supermarket’s The Best range. 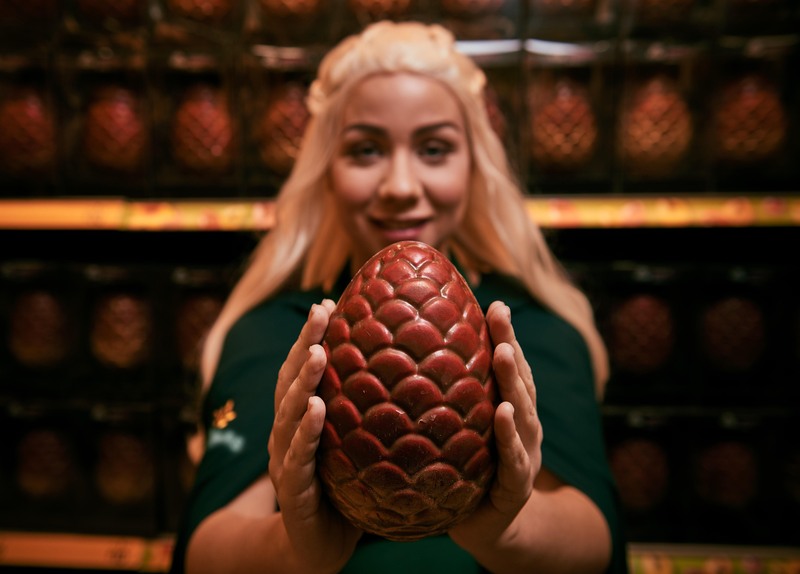 This Easter, Morrisons is bringing back the ultimate ‘Dragon Egg’ for chocolate fans throughout the Seven Kingdoms. Available from the north to the west lands, the Dragon Eggs can be found in all or Morrisons 494 stores nationwide. 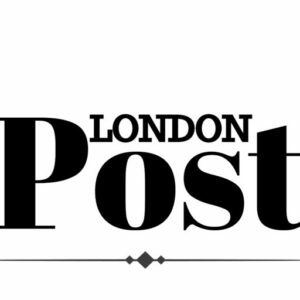 A loan from the iron bank won’t be necessary though – as each egg will cost only £6. However – a dragon will cost extra.